Hi all, today I want to go back in time nearly 10 years to a mobile legend. The legend being the Samsung SGH-E720, for some it was an awful experience but to many the device was a pleasure and similarly to unlock freely with a menu or two. 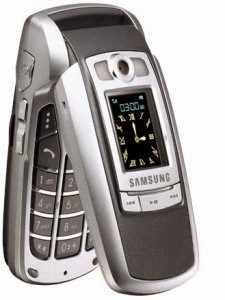 The phone was a typical but updated design for the current feature-set of Samsung mobile phones at that point in 2005 with impressive specs all round at a decent price point. with it's 1 megapixel image sensor and decent UI which only a few Samsung devices had the like for like UI including fonts and UX and OLED Screen which made it unique, at a time where OLED's were merely gimmicks. my phone still works today bar the battery is shot, the keypad is dying and the casing is falling apart but it still charges, powers up can connect to the internet and take video and photos of somewhat good quality. I'll not bore you too much but I will say I love the phone an awful lot. but it does have issues. Pros: overall looks, easily unlock-able, smaf ringtones (MMF files) decent camera with flash. In all despite it's flaws it's the first contract handset to last me longer than 3 years, similarly with the Nokia e71 so with that in mind it's one of only 2 I would permanently consider using again long term.